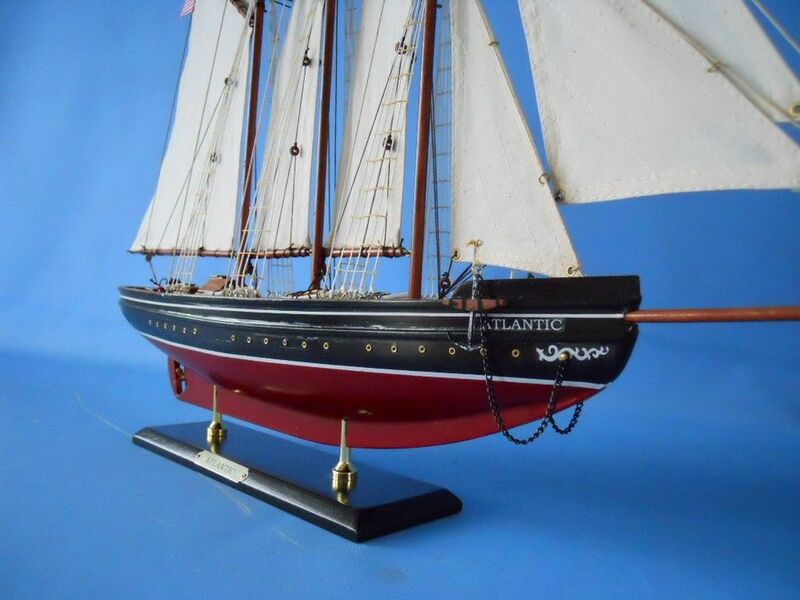 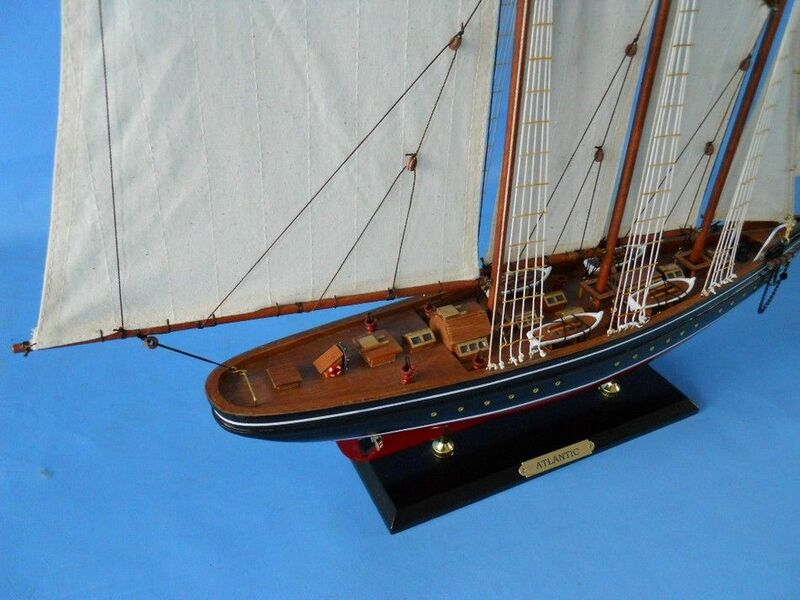 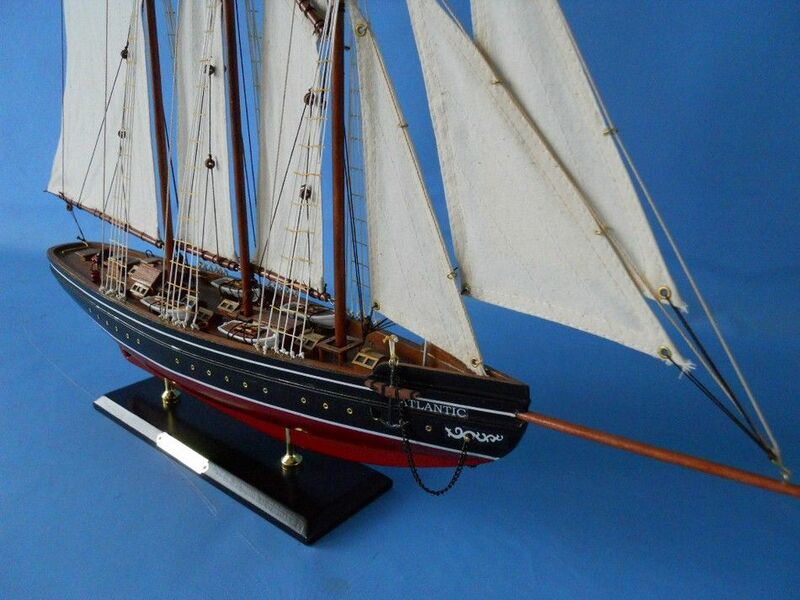 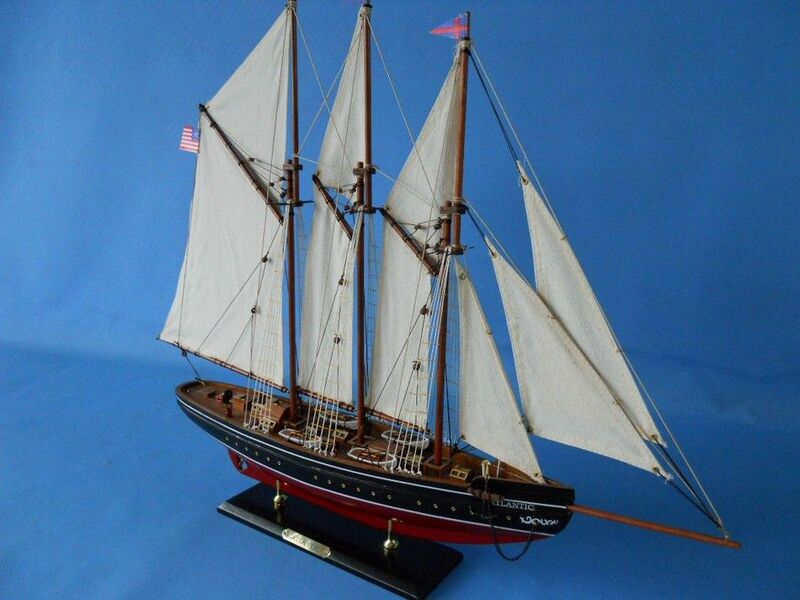 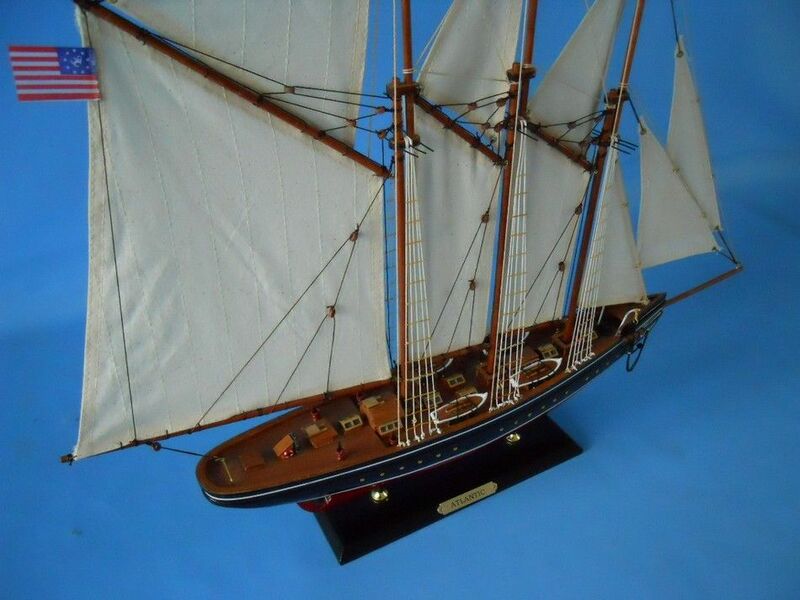 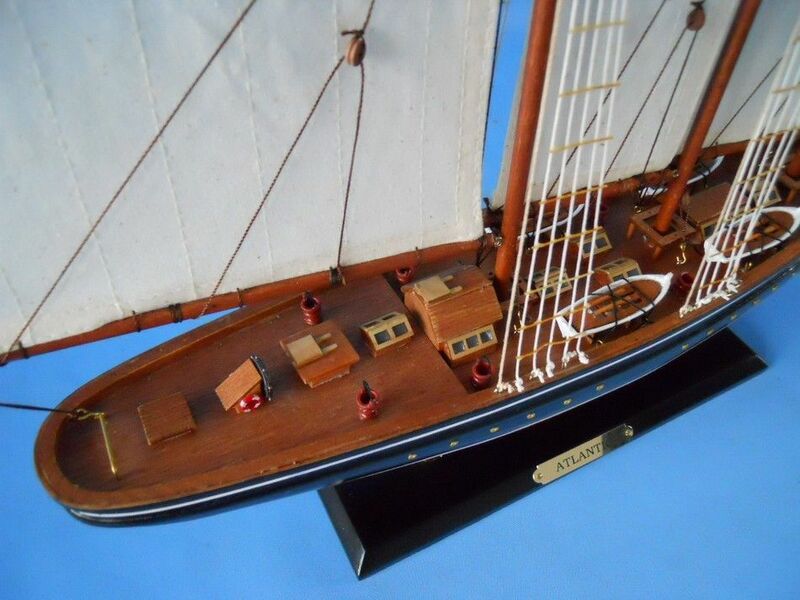 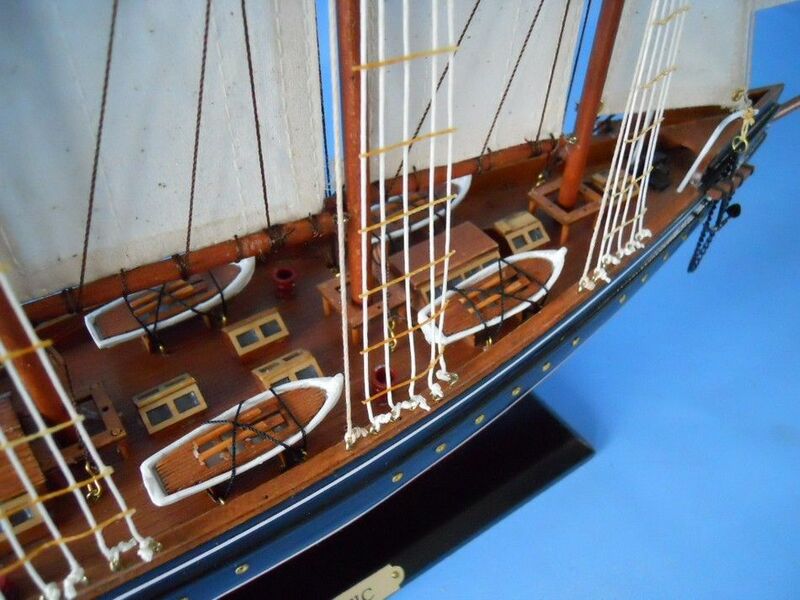 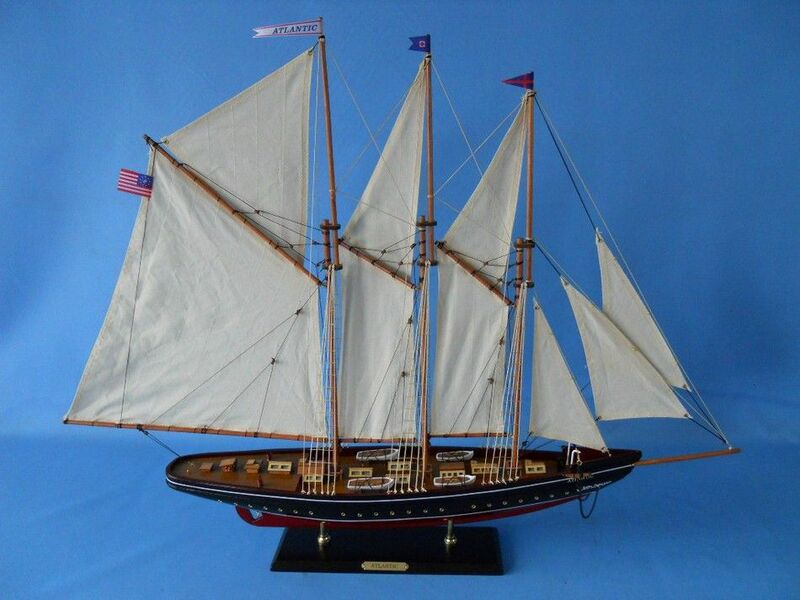 Wooden Atlantic Limited Model Sailboat Decoration 50"
The ATLANTIC, a three-masted racing schooner, was built in 1903 at the Townsend and Downey shipyard for Wilson Marshall. 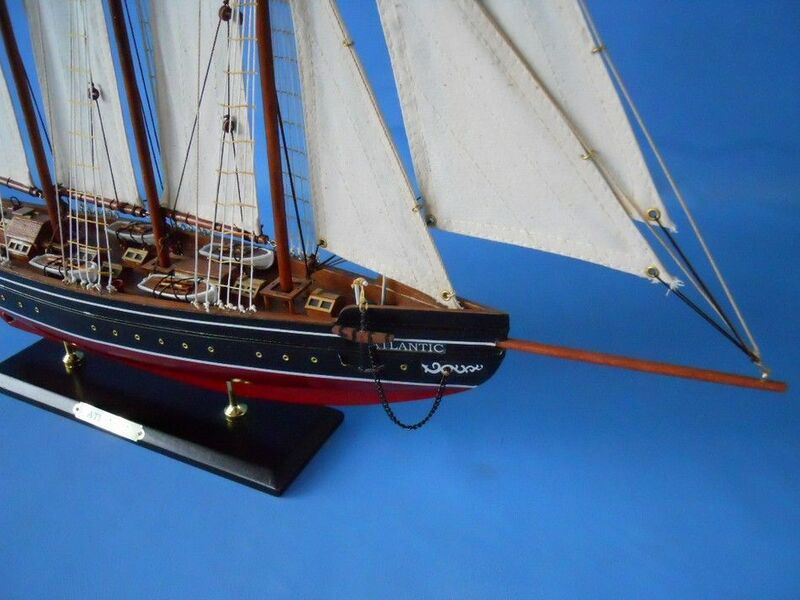 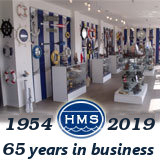 Two years later she achieved her greatest honor when she was one of eleven yachts to compete for and win the "Ocean Race" and its large trophy, the Emperor's Cup, put up by Kaiser Wilhelm of Germany. 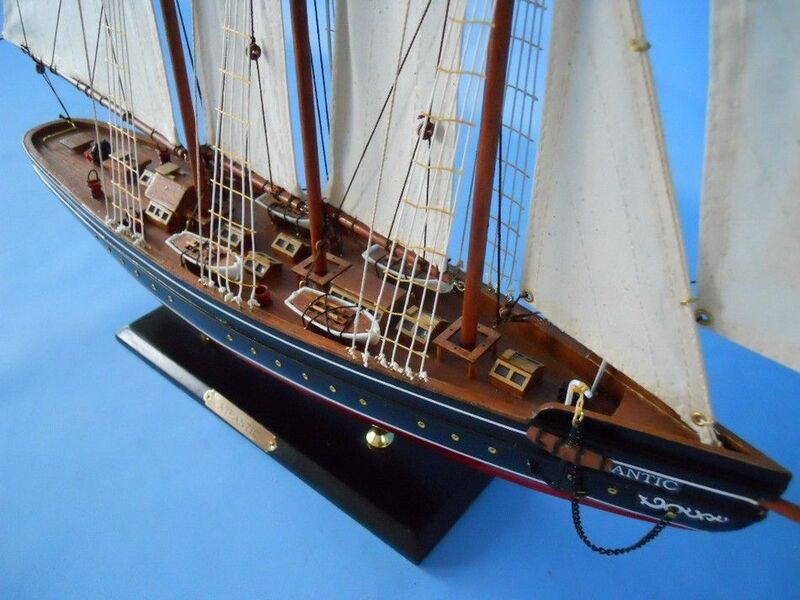 Sold to James Cox Bradley, Atlantic had the distinction of serving in World War I as a mother ship for submarine chasers, and after World War I she was sold to Cornelius Vanderbilt. 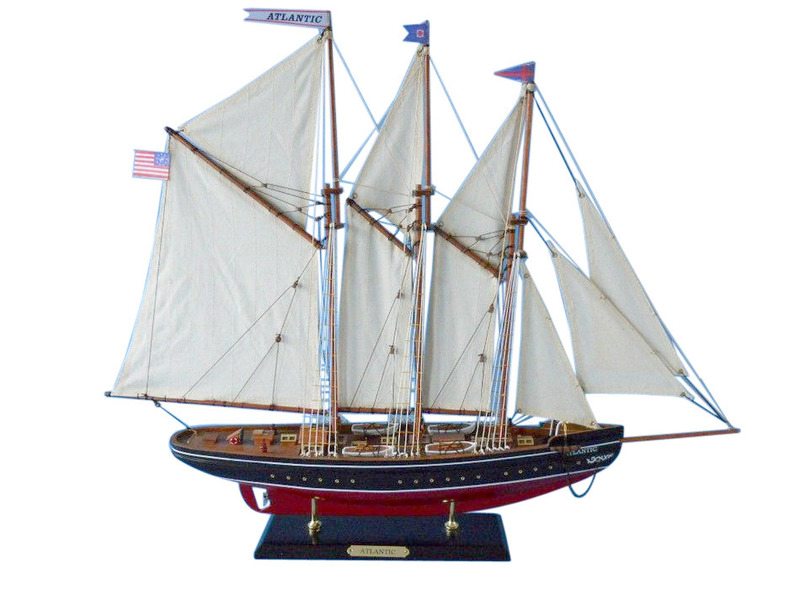 Atlantic did little racing thereafter and in World War II she was transferred to the U.S. Coast Guard for use in antisubmarine duty. 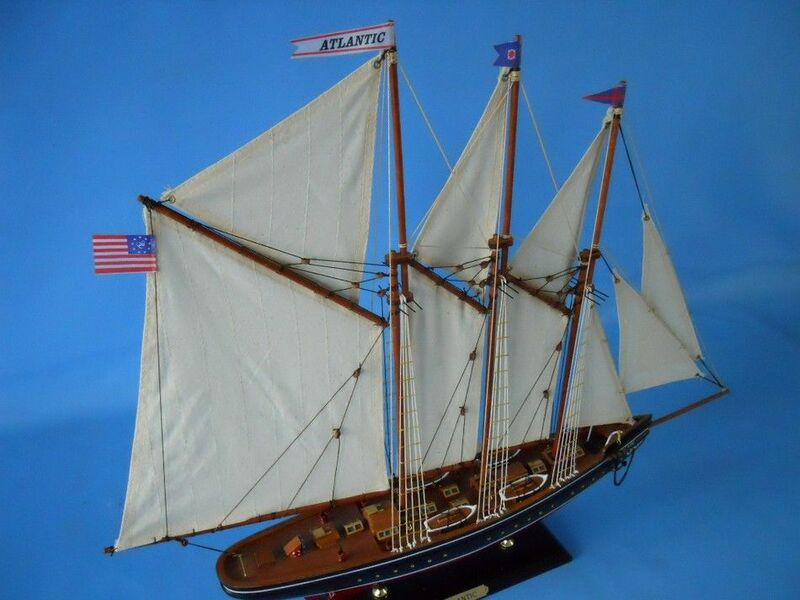 Following the war she was brought to the U.S. Coast Guard Academy for sail training from from 1941-1947.